For our "Mardi Gras meeting", we'll have king cake and refreshments, and a special guest. We are delighted to welcome back Kevin "Doc" Andry of Baton Rouge as this month's featured presenter. A nationally-awarded music teacher at St. Micheals High School, Doc is also an avid fly angler, tier and kayak fisherman. 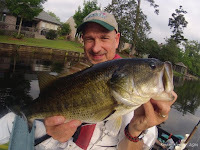 He chronicles his fishing adventures on his blog, "Kayak Fishing With Kevin". Since has last visit almost 3 years ago, he's been working on surface flies. This time, he's going to demonstrate tying one of his favorite bream flies - The Round Dinny - as well as one of his favorite bass flies - the Crease Fly. He'll also discuss how to effectively fish these flies under all conditions. He's bringing bodies and materials, enough for club members to join in. So bring your vise and tools, or just listen in. Doc has plenty of entertaining and informative stories regarding his fishing passion! Bring a guest! See ya'll Monday night. Yes, it's President's Day, but the Westside Library will be open! 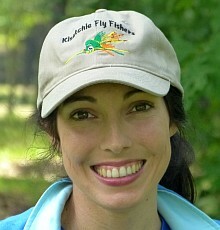 This month Gene Taylor will be leading us in tying the Peacock and Partridge Wet Fly. 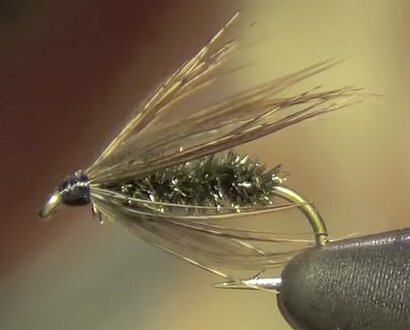 Wet flies are great imitations of emerging caddis pupa, diving caddis adults or even mayfly spinners. These once-popular flies have made a comeback in recent years.